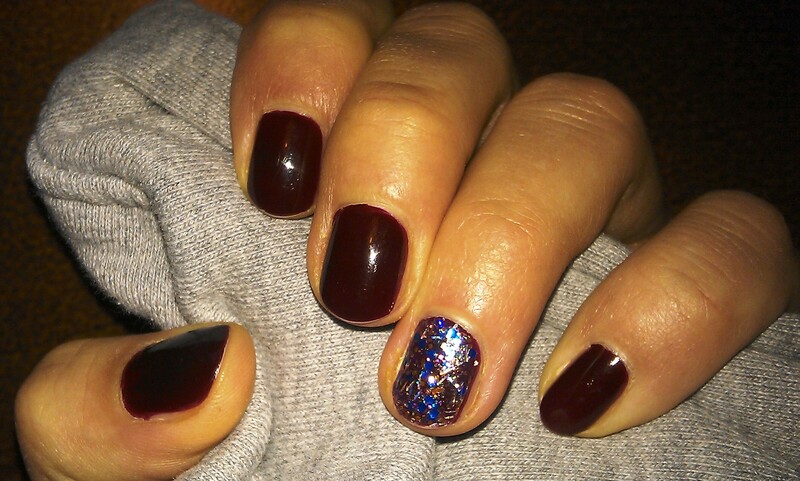 Last week I thought I finally use this models own Hed Kandi glitter polish as a signature nail and pair it with a dark burgundy red. The picture doesn’t really bring out the glitter at its best because it is far more colourful then you can see here. 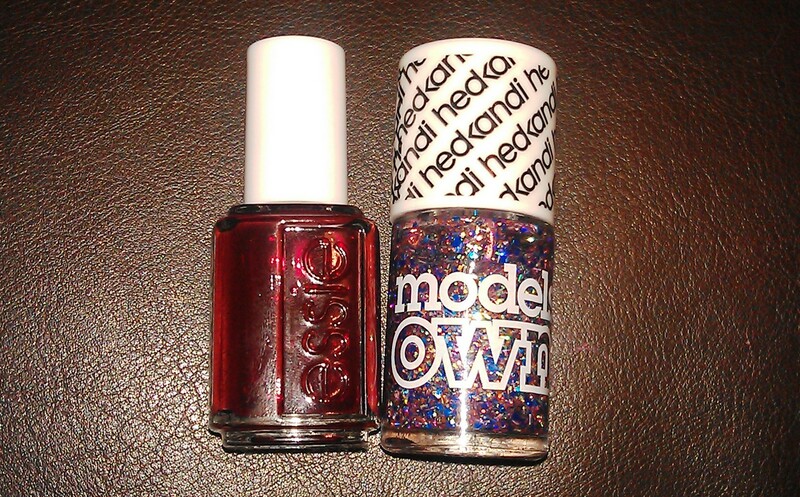 It is from models own hed kandi collection and the colour is called sunset chillout. The dark red is skirting the issue from essie’s last year autumn collection. I’m ok with the mani (it is not that special for sure) but I really need to work on my nail polish photo skills…And I’m looking for different mani types to showcase a glitter polish like this one. Any suggestions? This entry was posted in Nail Art and tagged essie, glitter, models own, Nailpolish, skirting the issue, sunset chillout by kathatravelling. Bookmark the permalink.